Although I had intended to include vocabulary and structures related to chores in my French 1 unit on the house, I ended up having to abbreviate the unit in order to administer the IPA before Spring Break. I didn’t want to totally omit this part of the unit, however, so I’m incorporating this vocabulary and structures into a mini-unit that we will do when we come back to school. I thought this unit was especially important because the house unit was very heavy on vocabulary and very light on sentence structures. Although I was happy with my students’ performance on the IPA, they were able to complete those tasks by relying primarily on structures such as “Il y a” and “est.” As we begin the fourth quarter, I want to make sure that my students are able to use a variety of verbs with different subjects. While I won’t expect total accuracy at this point, I want to make sure that they’re beginning to develop an understanding of the idea of verb conjugation. Click here (Chores unit) for the packet of activities that I will give to my students in this unit. Lesson 1 (2 days) On the first day of this lesson students will begin by reading an infographic about how much time French people spend on household tasks and will complete an IPA-style interpretive task. Next, they will play a Guess Who game (Guess Who ) to reinforce the vocabulary related to household chores. Following this pair activity, they will write a paragraph about their personal responsibilities around the house. I will begin the second day of this lesson by playing the video and having the students complete the comprehension questions. Following this interpretive activity, they will interview a partner about his/her chores and complete a Venn diagram comparing their responsibilities. Note: This activity is not included in the packet, I just have them do it on loose-leaf. I like using Venn diagrams because they provide a context for practicing both first and third person verb forms in written form, while orally practicing the second person. Lesson 2 (2 days) The students will also begin this lesson with an IPA-style interpretive task in which they read two different infographics about gender differences as they relate to household tasks. Next, they will interview a partner about who does various tasks in his/her family, after which they will write sentences telling what chores various members of their family do. Lastly we will listen to a video in which discusses chores and gender. Lesson 3 (2 days) The students will begin this lesson by reading a comic about two brothers and how each one clears the table (Pic, Pik) . They will then watch a children’s video about a creative way that one girl clears the table. This video will be very difficult for them, so I’ll provide lots of scaffolding as we listen as a class. Next they’ll do an information gap activity (Chores Matching) to practice the vocabulary, followed by a writing activity in which they write a note to a sibling in which they explain how to do the dishes. Interpretive Listening: Trotro range sa chambre cartoon video. 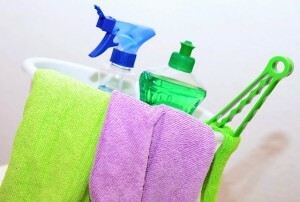 Interpretive Reading: Article about the types of chores that children can do at various ages. All of the tasks can be completed by reading only the sections associated with the age groups. Interpersonal Speaking: Students discuss their which members of their families do various chores. Presentational Writing: Students write an e-mail complaining about the chores they have to do while staying with a host family. I’ll be doing some traveling over break, so if it takes me a little longer than usual to reply to your comments, please know that I’ll look forward to hearing from you when I’m back home! This entry was posted in French 1 Units, Integrated Performance Assessments (IPA's) and tagged chores on March 19, 2015 by madameshepard.